And, then the not so simple. Talia, one of the koolaman team members said that she was going to create a Humpty Dumpty cake for her daughters birthday, we imagined one about 10-15cm high, with an egg as humpty dumpty and a piece of cake covered in chocolate icing for the brick wall. We were astounded when we saw this spectacular Humpty Dumpty masterpiece. As I'm sure little Amaya was too! 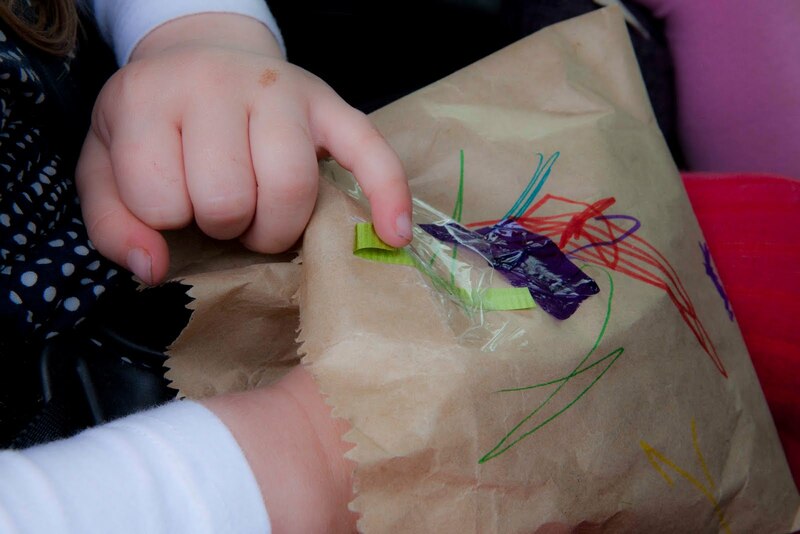 Talia also used the 'reusable' cupcake wrappers from Kathy and Natalie at the Cupcake Wrapper Company. 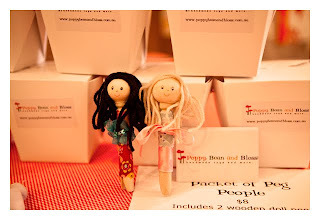 Don't forget we'll be at the GEELONG Piccadilly Market this Sunday 1st August from 10am - 4pm. 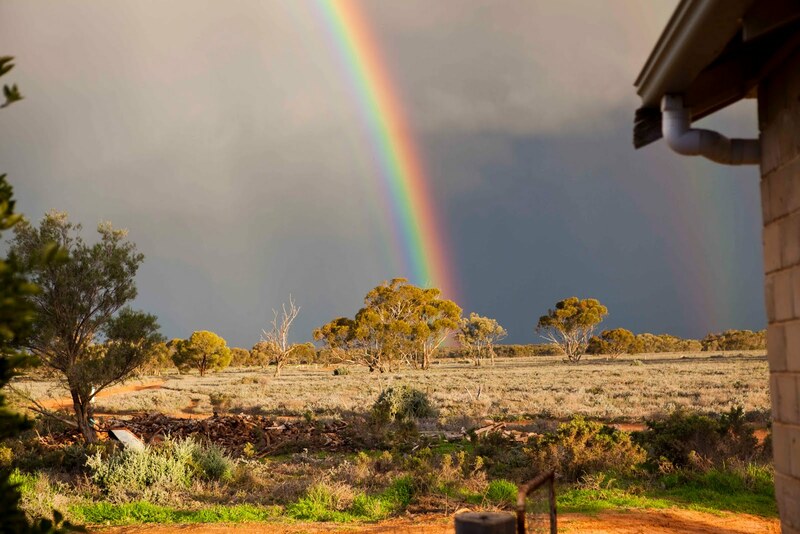 Rainbows never fail to amaze me with their beauty and this week we were treated to a double rainbow over Koolaman. You can see the main rainbow and the second one popping out on the right. 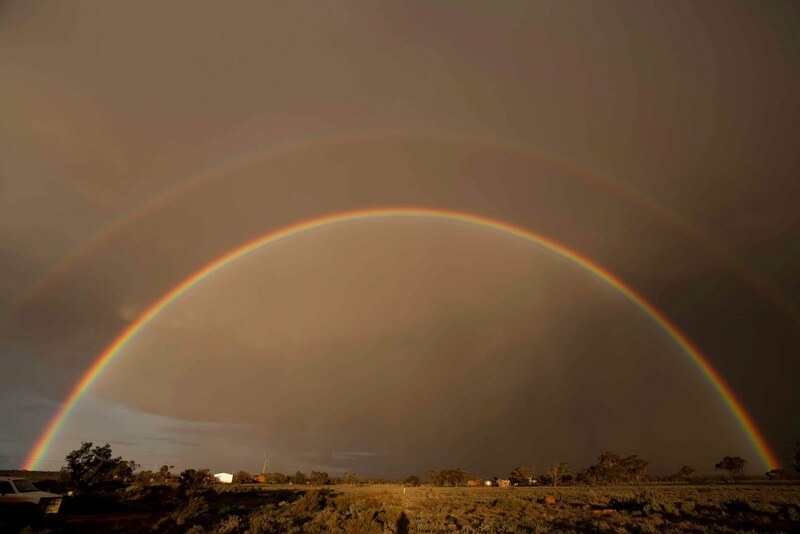 Here is mother nature in all her beauty with a double treat for us at Koolaman.... And to wash away the rainbows five minutes after this image was taken the skies opened up and it rained and rained and rained.. 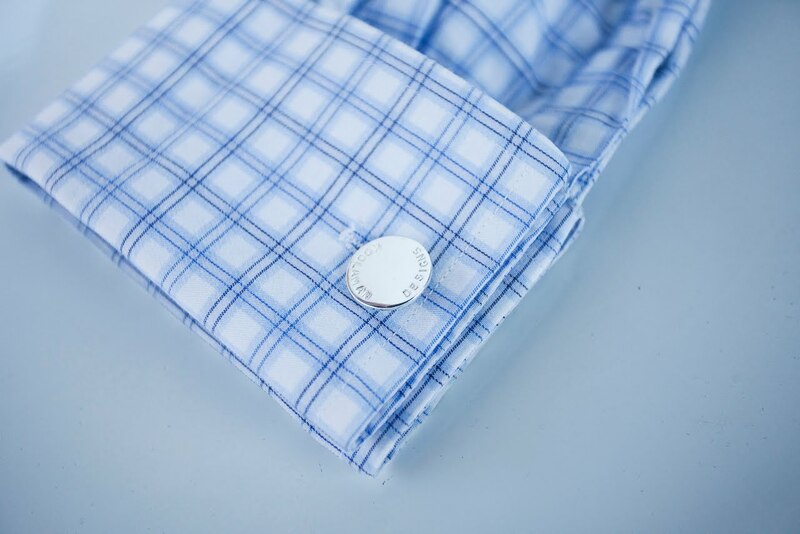 There are some organised koolaman clients out there who have been placing their fathers day orders for our cufflinks, keyrings and pendants. Here's a sample of what we've been busy creating. 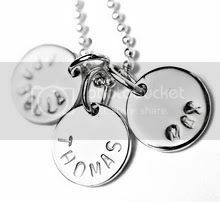 To ensure your Fathers Day order is received in time, please place your order at koolamandesigns.com.au before the 30th August. And look out for the new cufflinks which will be launched next week, we know you're going to love them! School holidays are over. On the last day of the holidays it rained for most of the day today and the girls and I were looking for fun things to do inside. Lulu's idea was to paint our nails, a beautician in the making.... It looks like it might have been torturous and bloody but there was far too much laughter happening while the toes were being murdered. 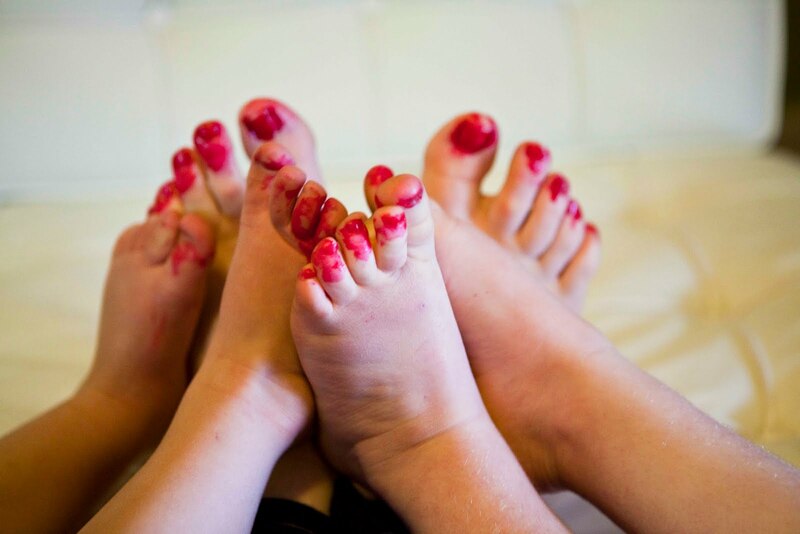 Lulu & Belle might need a bit more practice of painting the nails and less of the toes! We had a couple of days in Melbourne, where we went to a footy match to see Gus' beloved Hawks... Melbourne turned on the cold weather and despite our best efforts we had to duck out at three quarter time and watch the last quarter of the "best game of the year" from our hotel. 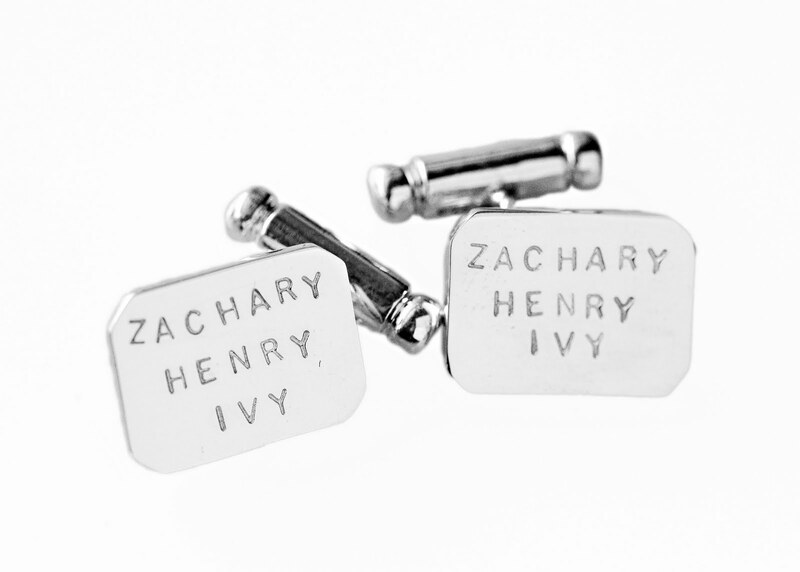 And, don't forget Father's Day will soon be upon us... We've got some new things to show you soon but in the meantime you can admire the Henry cufflinks here. Pop the 30th August into your diaries. This is the last date for orders to ensure delivery for Fathers Day. We were very very delighted when we heard earlier this week that we have been selected as one of five finalists of AusMumpreneur of the Year. And we were doubly excited when we also found out that we're a finalist in the category of Handmade Mumpreneur of the Year. The awards recognise the innovative and professional women who are Mums working in Businesses all over Australia and New Zealand. We are thrilled to be in the same company as all of these Mums (& Dads) see all the other finalists in the AusMumpreneur awards here. There is also a Dadpreneur Award too, and we were really pleased to see Daniel from Ear Muffs for Kids as a finalist. Since June 2009 the koolaman kids Gus, Lulu, Bella, Chloe, Lenny and Teddy have been roadtesting the Ear Muffs for Kids. 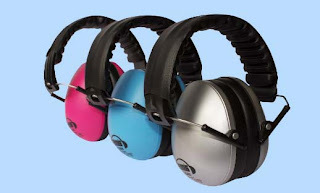 They are perfect for any time when the kids are near loud noises and importantly the kids love wearing them. The awards ceremony will be held at the Connect2Mums conference in Brisbane at the end of this month. There is still time to get your tickets to the conference and awards night visit connect2mums for more information. Brrrrrr, it was cold in Canberra on Sunday, but the Mathilda's Market at the Federation Ballroom at the Hyatt Hotel was warm and toasty. There were lots of beautiful products on display. Sunday morning in Canberra was a frosty -3 degrees, but the ballroom was warm and toasty, causing all the Canberrians who visited to peel off their coats, hats and mittens. Corrie from RetroMummy was there with her gorgeous crochet hats, and fine frocks all made from the cutest coloured fabrics. 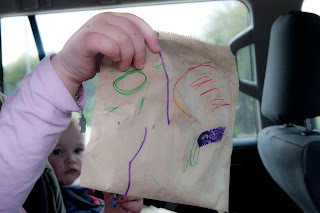 We met Corrie at our first Canberra Mathildas in February. There is a picture of her 'hat tree' exploding in the finest crochet hats. Anastasia from Cheeky Textiles had her display of wall art, I loved the robin red breast screen printed artwork. Helen from Ensparkle and her personalised ceramics and they look even better in real life... The brooches are the perfect gift or even one for your winter coat. Sarah from Gifts Created have the cutest little birds in a cage that you've ever seen! Can't wait to get back to Mathilda's and get one for the girls room. And Justine from Baldi Bear Art with her beautiful illustrations and custom portraits, this is one clever Mama! Justine's daughter was helping out on Sunday and she even has her own portrait on display.. I did a double take when I saw the pretty image and then the real thing! Koolaman is a sheep and wheat station, we grow wheat and we also grow sheep for meat and wool. I especially love seeing wool made into beautiful pieces of clothing and these stylish, yet simple childrens vests from Katherine at Little Blue Children's clothing are the perfect thing for winter. a snippet of some of the retailers from the market. Another appearance at the Canberra Mathilda's Market, and we're constantly amazed by the beautiful historical building of the Canberra Hyatt. The Market operates in the Federation Ballroom and is an absolute delight to visit and exhibit. We can recommend the delicious hot chocolates from the Hyatt too, worth the eight hour drive..